Have you ever seen a magic trick? Have you ever seen the impossible performed right before your eyes? 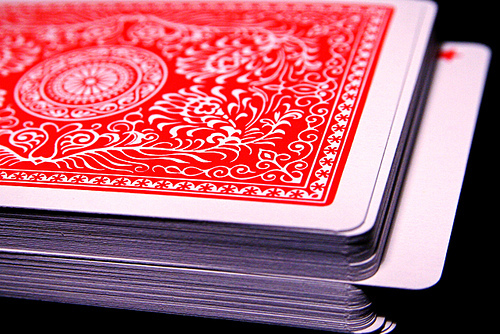 What if you could perform your own magic trick and consistently streamline online banner production (HTML5 Ads) as if it wasn’t so complicated? This complicated process of Digital creative agency, however, yields a powerful marketing tool. Wouldn’t it be great if you can somehow perform a magic trick and make high volume online banner production a reality? If you can seemingly compress the complex process of deployment and implementation into a streamlined flow that is efficient and less prone to errors? Well, you actually can. Let’s learn the magic trick to online banner production. In your magic trick’s first phase — its pledge — you’ll need your rich media design developers, of course, and the concept of the creative online banner ad you wish to develop. Most businesses stop there, and that’s what makes it difficult for them. They actually also need an ad server workshop like Mediamind or DoubleClick Studio, which serves as the central dashboard where the banner can be developed with all the necessary files available for convenient access and sharing, where revisions and group input and feedback are easy, and where publisher specs are also made available for double checking. Make good use of your server workshop for real time collaboration and faster, more efficient revisions processes. Online banner production requires the collaborative efforts of several people within a team, and often even several teams: the creative team, the media agency, the publisher, and the server. Keeping these teams connected in real time during the process cuts down on production time and increases the number of projects that can be developed. You can even go a step further by having the creative team add clicktags instead of leaving the task to the publishers. Clicktags allow the publishers to sidestep the need for developers to modify banner URLs. After all of this, your prestige, the last part of your act, is efficient, high volume online banner production. You create more ads in less time and hassle — like magic. Through using ad server workshops, uploading directly to Dynamic Ads server platforms, and collaborating with all the parties involved in real time, you can make the complex process of online banner production look like fluid, efficient magic. Add a few more touches like having the creative team add server code and API components from the start, and use a flowchart to direct your processes starting from PSDs straight through to the demo link. That’s how to maintain efficient, high volume online banner production like magic.